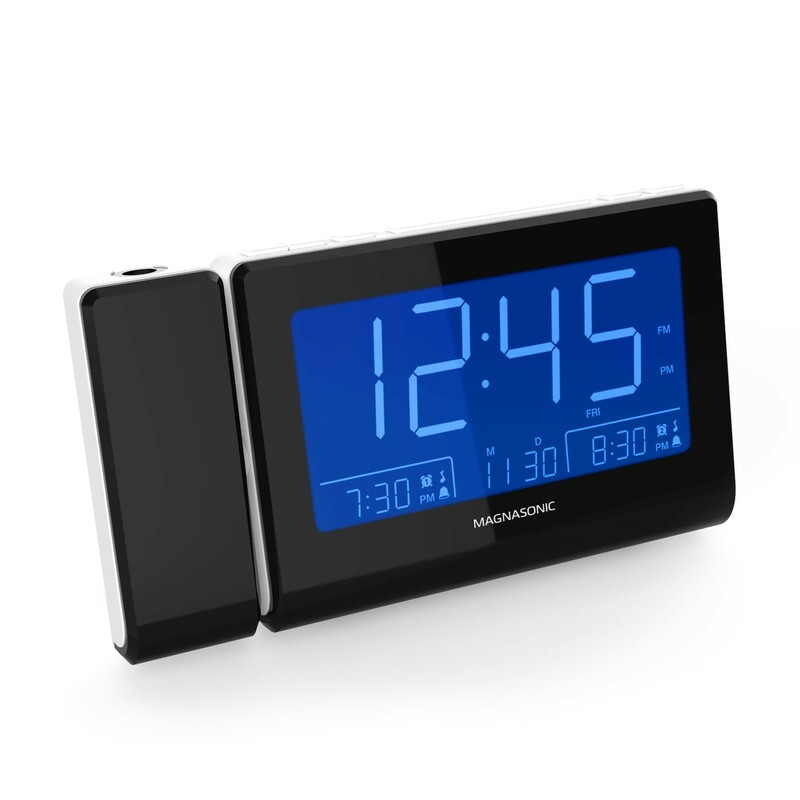 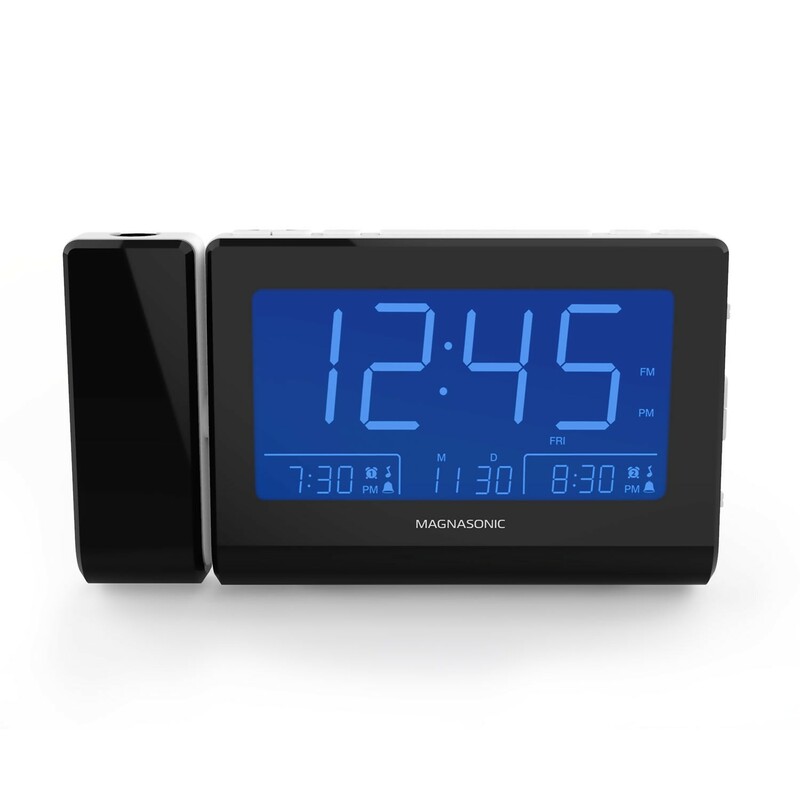 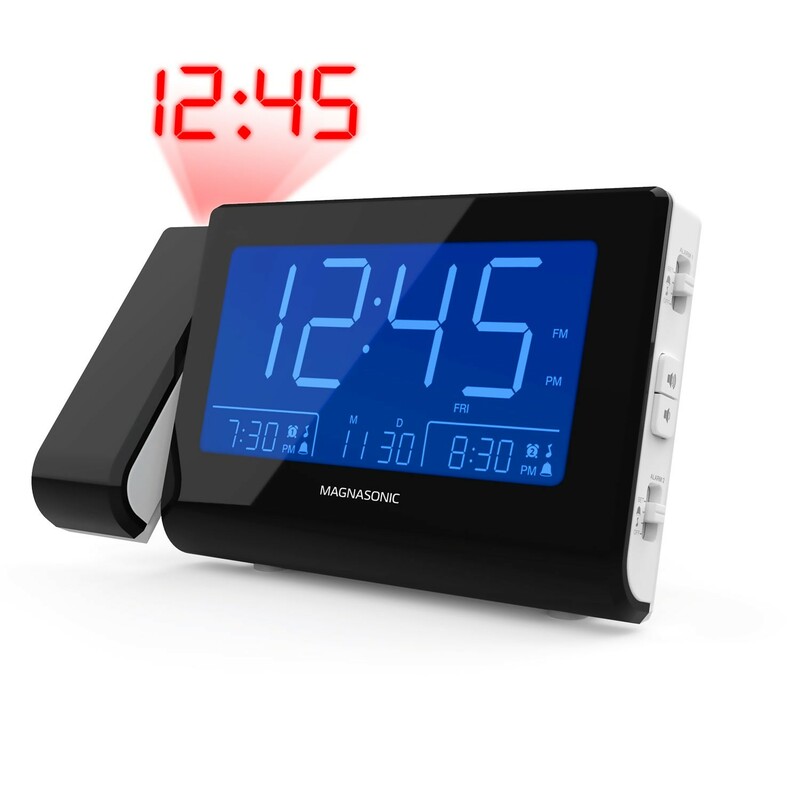 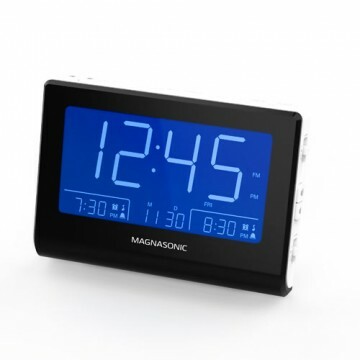 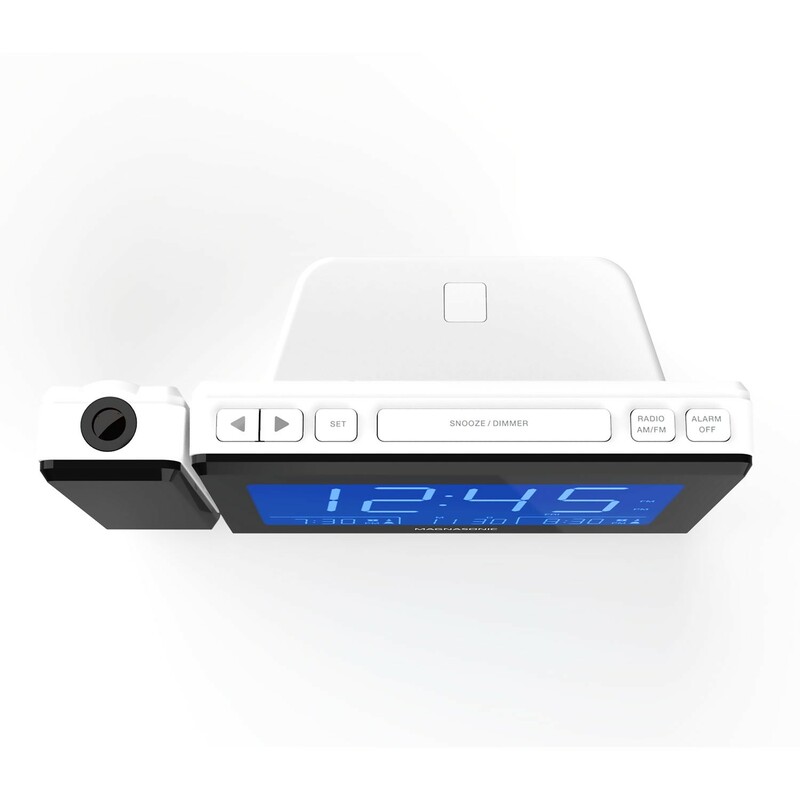 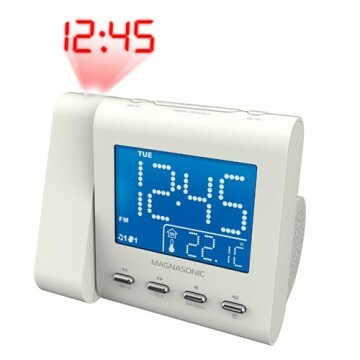 Wake up on the right side of bed with the Magnasonic Time Projection Alarm Clock Radio. 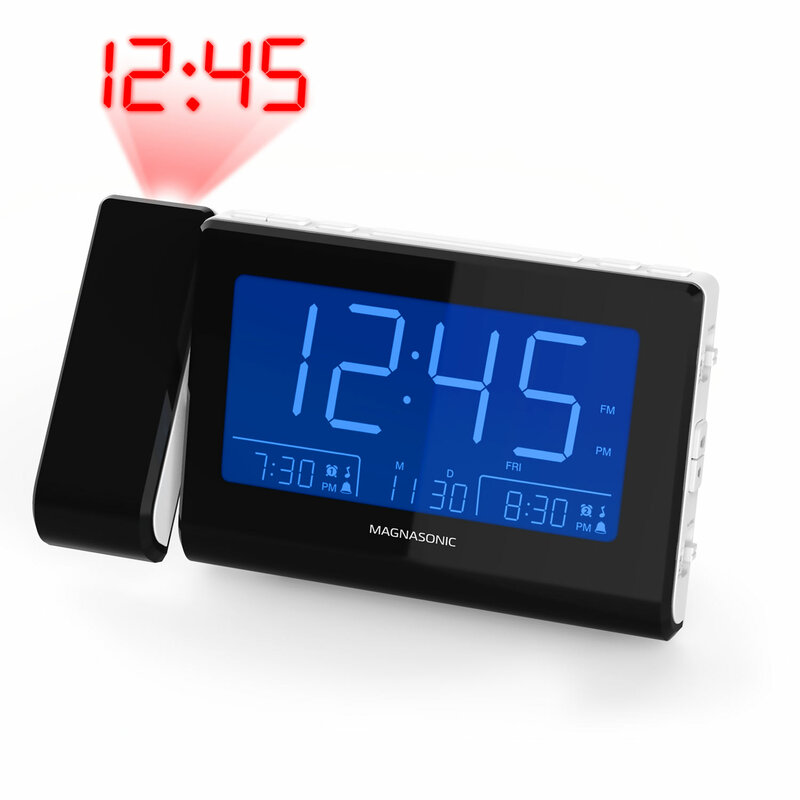 Never worry about missing an early appointment or waking up late for that important job interview due to a power failure. 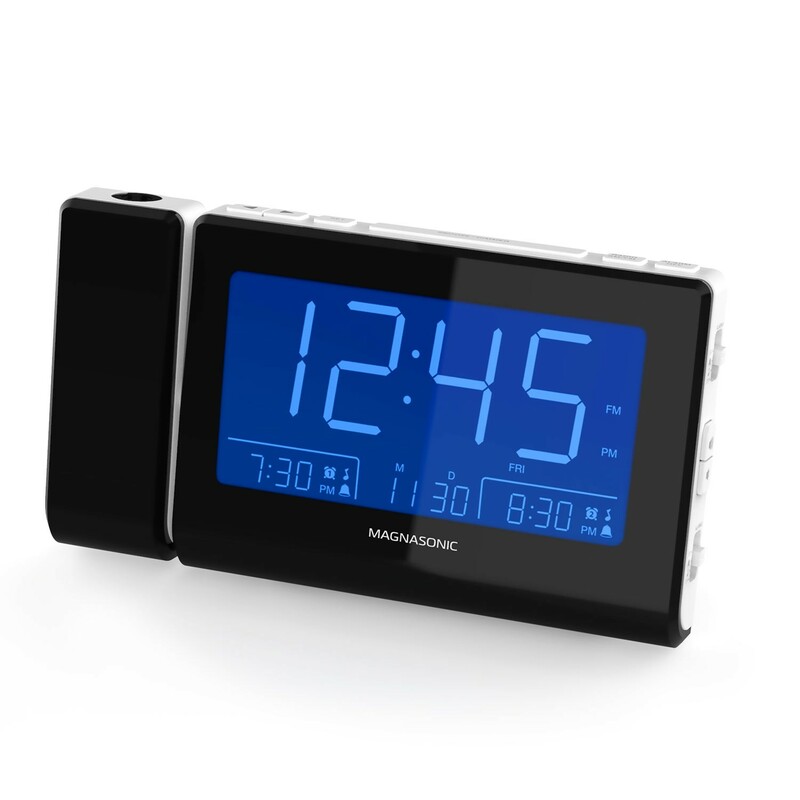 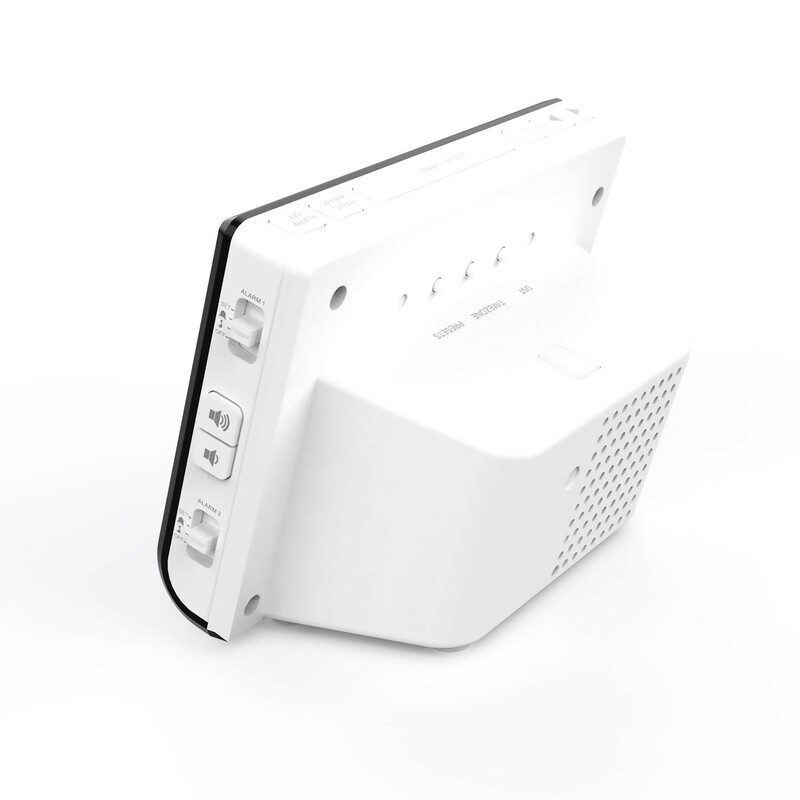 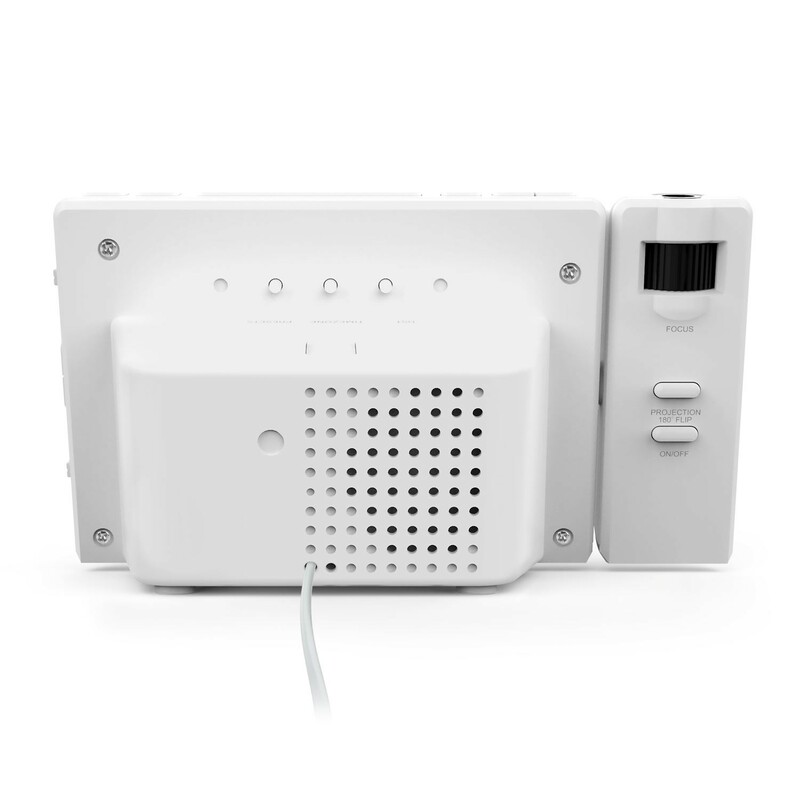 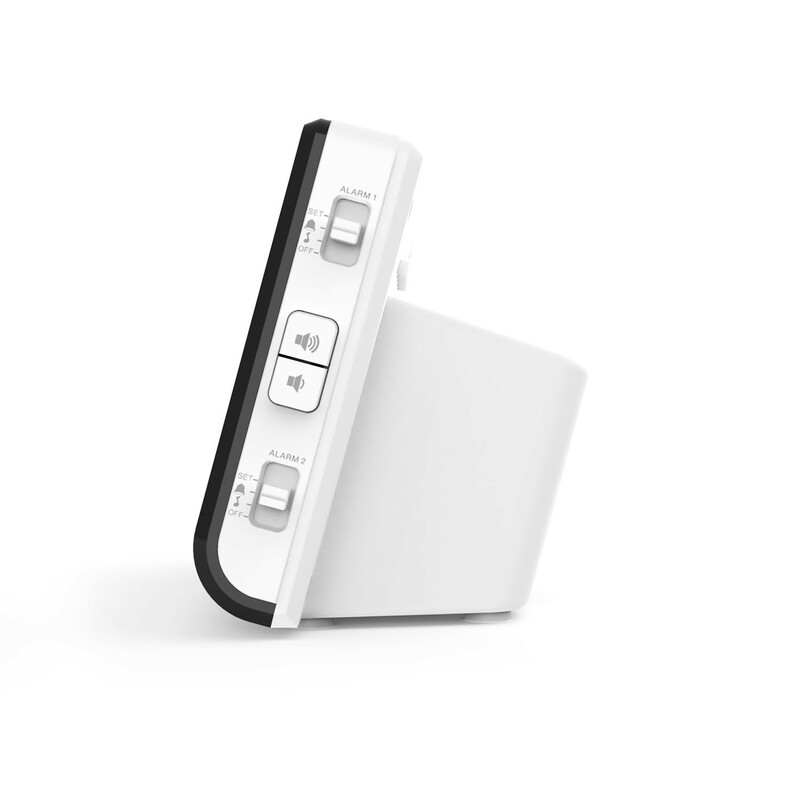 The battery backup automatically restores your time and alarm settings and will activate your alarm at the scheduled time in the event of a power loss. 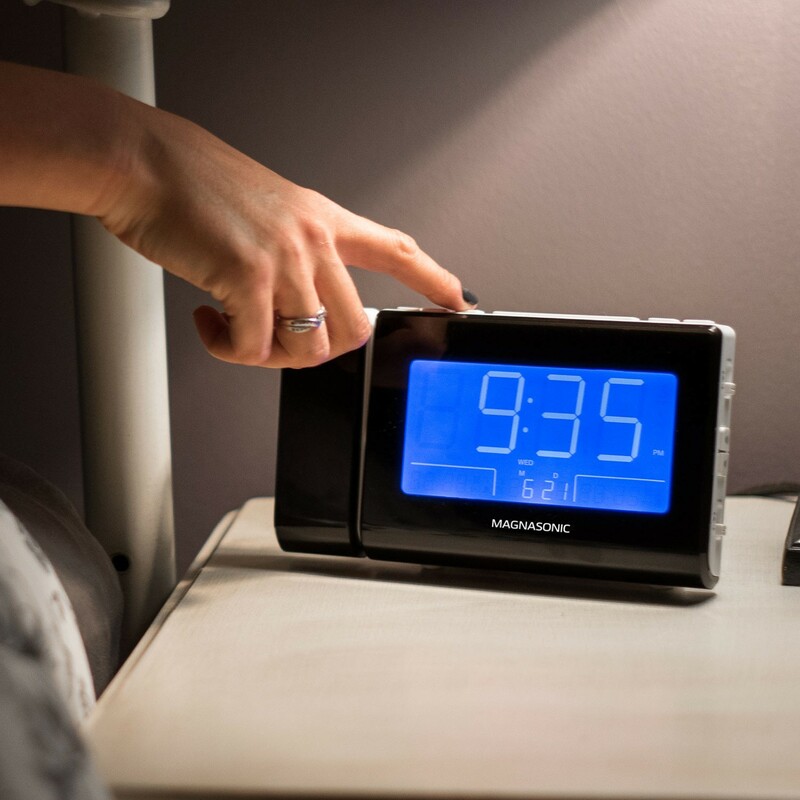 Program separate wake times for you & your partner during the work week, weekend, or full week allowing you to set your schedule and not have to worry about setting your alarm.